You will probably like to engage in a variety of water sports activities on your yacht charter vacation. Most charter yachts have a nice selection of “toys” available for their guests, mostly at no extra cost. Exceptions to this might be fuel for motor driven “toys” and SCUBA diving that usually has an extra cost attached to it and charged on a per-dive basis. Here’s a list of typical water sports items and activities that are or sometimes can be made available. Snorkeling equipment: dive masks, snorkel tubes and fins in varying sizes and shapes. Having said this, many serious snorkelers like to bring their own mask and breathing tube with them since the ones on the boat will not be new or particularly well fitting. Especially those from bareboat operating companies may be a little suspect. Noodles, floating mats and other take it nice and easy type toys. Most yachts carry these as a matter of course. Knee-boards, wake boards and other towable toys: great for kids, many charter yachts have these in inventory. They can be towed by the dinghy.Kayaking: many yachts have one or more one person or two person kayaks on board, it’s great fun to take your kayak around the different anchorages and explore a bit of the coastline as well. 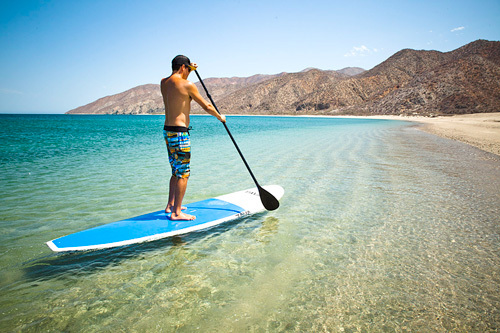 Stand-up Paddle-boarding, or SUP, which is the latest greatest way to go short distances from your yacht along the shore. Water Skis: Many charter yachts offer water-skis, it’s important to look at the yacht’s dinghy outboard engine horsepower though. This information is available on the yacht specification sheet. Anything under 40 hp is suspect. SCUBA diving: many charter yachts offer SCUBA as an on-board activity. This is when the captain or mate has either an instructor’s license or a master diver’s license AND has the proper diving insurance. If there is a person on board with an instructor’s license, the yacht may offer what is called a “resort” diving course for people who are not certified or have not had prior training of any kind. 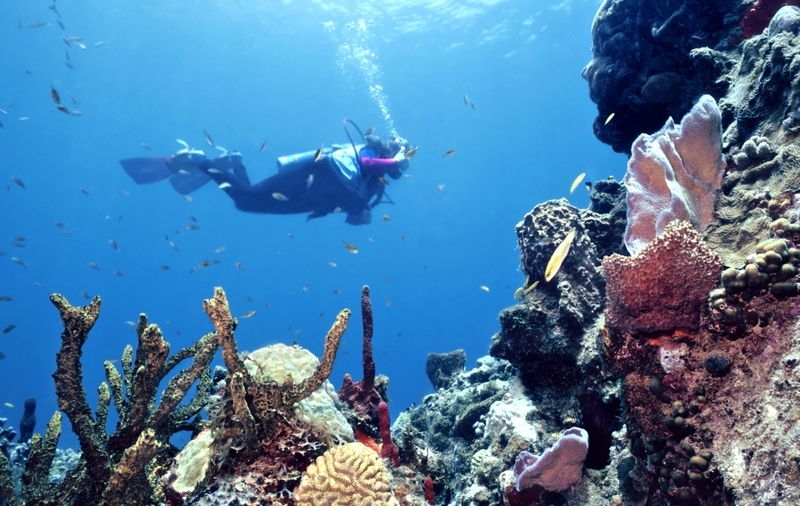 Diving is usually charged on a per person/per dive basis. If the yacht does not offer on-board SCUBA diving there is always the possibility for your captain to contact one of the many reputable diving companies along your route that can come directly to your boat and pick you up, take you diving and bring you back. This is called “Rendezvous” diving. Wind-surfing: wind surfing boards are harder to find as standard equipment on charter yachts but some do actually have them in inventory, you MAY need a few classes to become proficient in this. 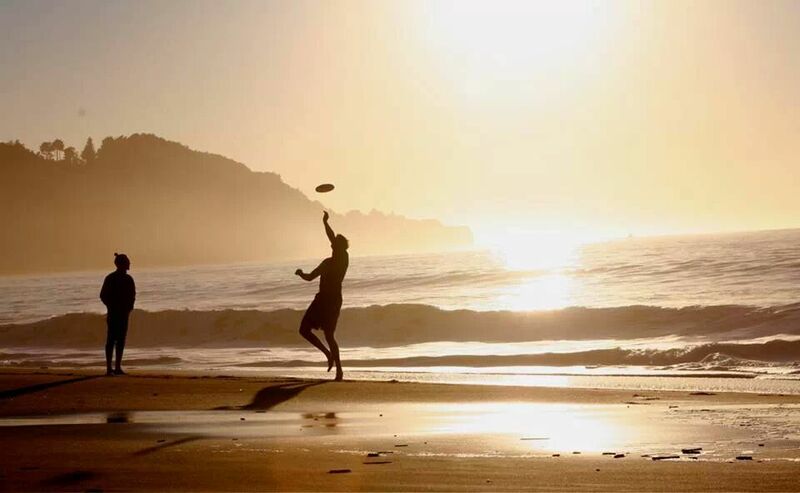 There is also that much more difficult variety of wind-surfing which is called Kite boarding; not many yachts carry these, but we know of a couple. Personal Watercraft or PWC’s: these include wave-runners, Seadoos, and Jet-skis. Many charter destinations have restrictions on their use due to the many accidents and disturbance to the eco-systems that they cause. Some of the larger motor yachts have these on board but you need to check with us or the captain to determine if there are places along your itinerary where they are allowed. The ubiquitous ship’s Dinghy or RIB: an absolute must for getting ashore when you’re at anchor or on a mooring. Also really neat for running errands and picking up supplies and just going ashore to explore. The bigger the yacht usually, the larger the dinghy and the more horsepower it has. Underwater propulsion devices: that can tow you underwater while snorkeling; there is a wide variety of these available on the market but, since they are quite expensive, only the larger motor yachts tend to carry these in inventory. Center Console Runabout or Fishing boat with 100 to 200hp outboard, generally in the 25′ to 30′ foot range. Not commonly in inventory on most yachts although some of the larger motor yachts carry or tow one of these around for guests’ use. Check with us or see the yachts specification sheet. It’s important to understand that NOT ALL yachts will carry all these water toys. Some yachts have a limited inventory and others have invested heavily in this area. The water sports activities that ARE available on each yacht are generally listed on each boat’s specification sheet in the boat’s brochure. If you have a “must-have” situation, or if you like a yacht but it doesn’t have the toys you really wanted, we’ll be glad to help out since there are many destinations that have water-toy rental businesses and we can help you to find that special item or activity for you or your kids. The up-to-date brochures that we provide with each proposal list the water-toys that each boat carries under the “specifications” tab.